Deepen your worship experience with our exquisitely handcrafted altar furniture. At Stained Glass Inc. we offer custom solutions to meet all of your altar furniture needs. 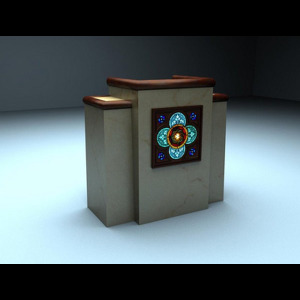 With over thirty years of experience in manufacturing and designing ecclesiastical products, Stained Glass Inc. provides services and expertise in the construction of custom designed lecterns, altars, communion tables, crosses and pulpits. Let us enhance the interior beauty of your church and deepen your worship experience for years to come. We work in a range of products to ensure the best fit for your project. Inside LED lighting can be provided to ensure that the stained glass shines with radiant beauty and color. Our LED lights provide 30,000 hours of light, meaning bulbs will very rarely have to be changed. The lights can easily be turned on and off with your choice of an on and off switch or by just plugging and unplugging a cord. We can also design small fonts for baptism by aspersion, or large pools for baptism by immersion or submersion. 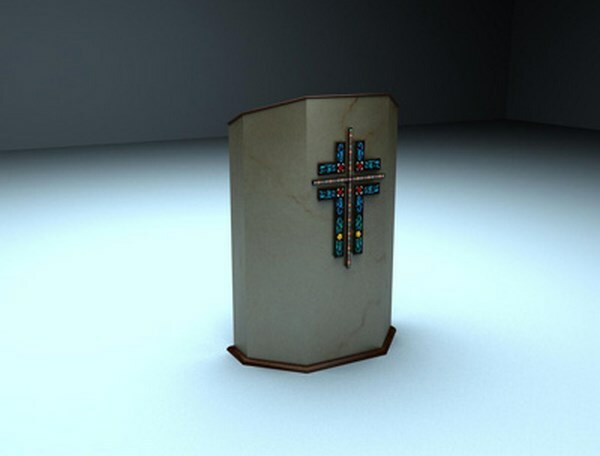 In addition to stained glass art, our sister company, Stromberg Architectural Products, creates altars, pulpits and fonts in marble, granite, bronze, and fiber reinforced materials. Size and shape are custom designed per your request. 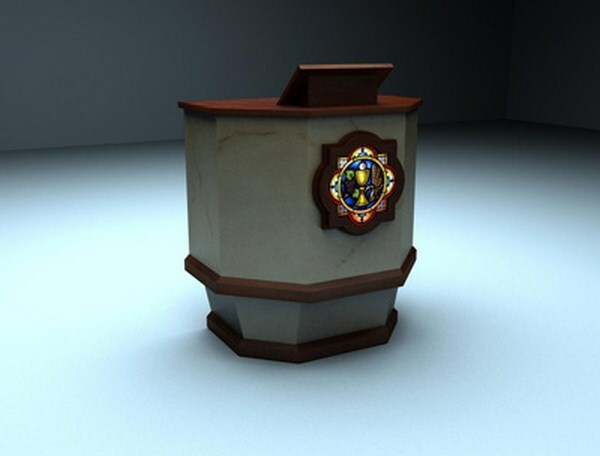 All altar furniture is custom made to your exact specifications, so it is unique to your place of worship. Our talented artisans will be happy to work with you to ensure that you get the stained glass altar piece of your dreams.